Keb Darge On "Lost & Found" And Collaborating With Paul Weller! – Paul Weller News! Keb Darge On "Lost & Found" And Collaborating With Paul Weller! 2 Comments on Keb Darge On "Lost & Found" And Collaborating With Paul Weller! Keb Darge is the king of mix tapes, respected spinner of the hippest, deep funk tracks and one of the champions of Britain’s Northern Soul scene, but try as he might, he can’t get his 15-year-old to stop listening to hip-hop. “I’m trying to save the world from the evils of modern music,” he says. “It makes people into miserable farts. My son’s going on about wanting to be a gangster. I’m like, ‘Oh, God almighty.’” Maybe his son is a lost cause, but Darge’s compilations, which are sourced from the rarest funk and soul tracks from around the world, have found a new audience of listeners looking for a retro sound. 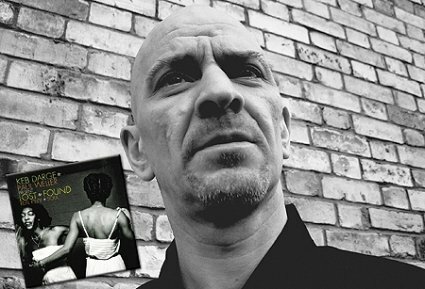 While Darge has collaborated with the likes of RZA and Cut Chemist for previous compilations, for his latest project, “Lost & Found: Real R’N’B & Soul,” he worked with friend Paul Weller, former front man of seminal pop-punk band the Jam. And even though they may have an argument over rockabilly (Weller isn’t into it; Darge is trying to change that), the two made an easily collaborative pair. “This is the first time we’ve done anything sensibly professional together aside from DJing and getting drunk,” Darge says. Stunning album, nice one Keb & Paul. your not the only not feeling the rockabilly mr weller.sorry keb..but some peoples taste doesent go back that far, and theres nothing wrong with that, just like theres nothing wrong with rockabillys, but a lot of kebs mates are soulboys, so you know. Previous Entry Paul Weller To Release His New Studio Album WAKE UP THE NATION in the US May 4th via Yep Roc Records! Next Entry More KebDarge / Paul Weller Coverage via Time Out: New York!